Once again, our hard work has paid-off and one of the happy moments is back again. We’re very happy to share with you the news that our free gallery WordPress plugin, Catch Gallery has reached a new milestone. The plugin has crossed 10K Active Installs on WordPress.org. This is our fourth plugin this year (2019) to reach 10K+ active install on the .org platform. Know more about the Catch Gallery Plugin here. 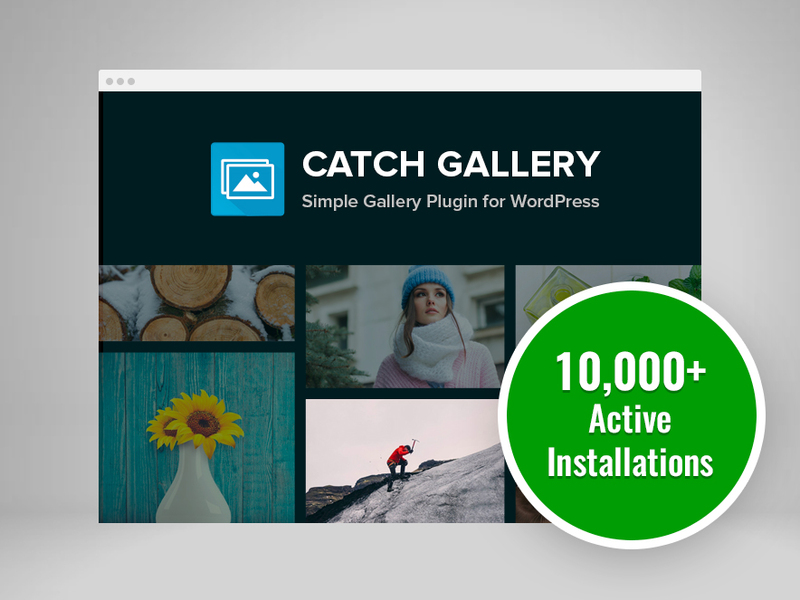 We welcome our Catch Gallery plugin to the list of our plugins that reached the milestone of 10K+ Active Installations on WordPress.org. To Top, Catch IDs, Essential Content Types, Catch Web Tools, Essential Widgets, Catch Instagram Feed Gallery & Widget, and Catch Infinite Scroll are our other free WordPress plugins to have crossed 10K Active Installs. We want to thank all our supporters for showing so much love and for always supporting us. We look forward to providing our top-notch products in the future as well. Know more about this milestone on Catch Plugins’ Blog.